Welcome to the home page of the CAIMS 2012 Annual meeting! 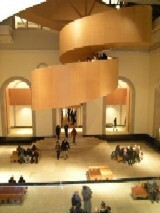 The meeting will be held at the Fields Institute for Research in the Mathematical Sciences, Toronto, June 24-28th, 2012. We are grateful to the Fields Institute for their support of this conference. Please check back here for more updates as they become available! We look forward to welcoming you to CAIMS 2012.